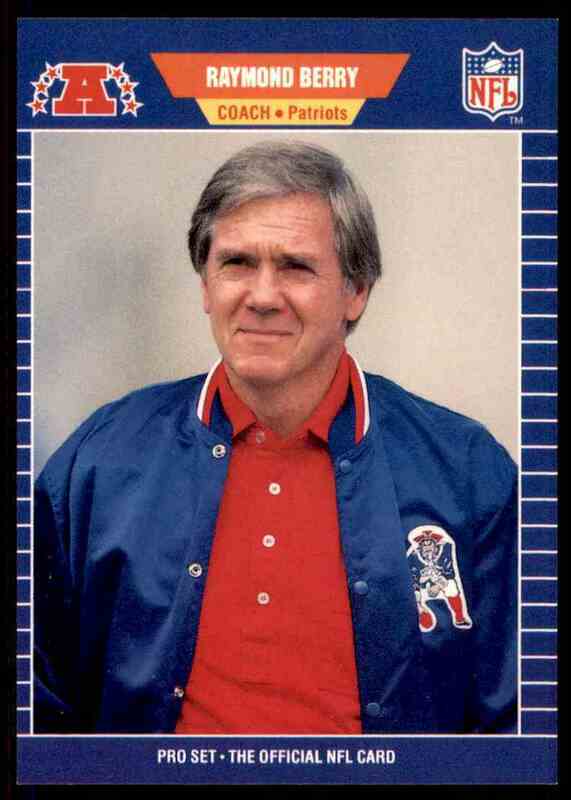 Pro Set Inc. owner Lud Denny was a man before his time. 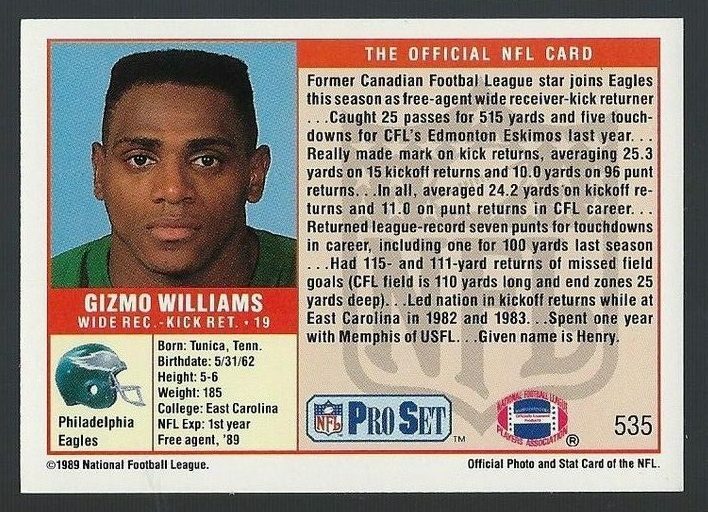 He correctly predicted the market for sports trading cards would extend past baseball and made a big bet on football cards. 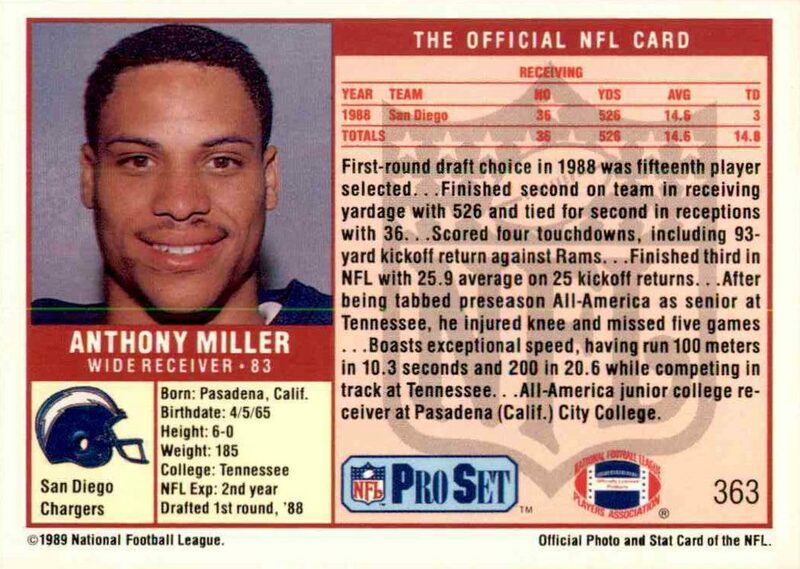 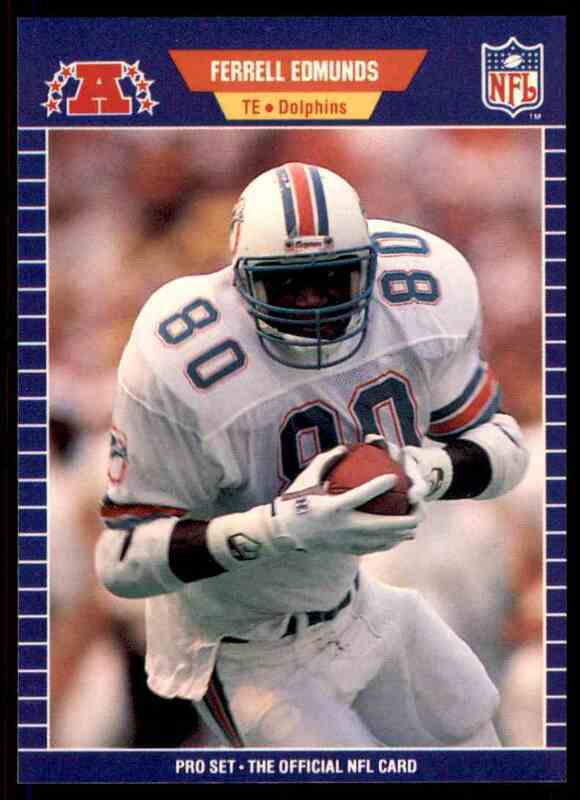 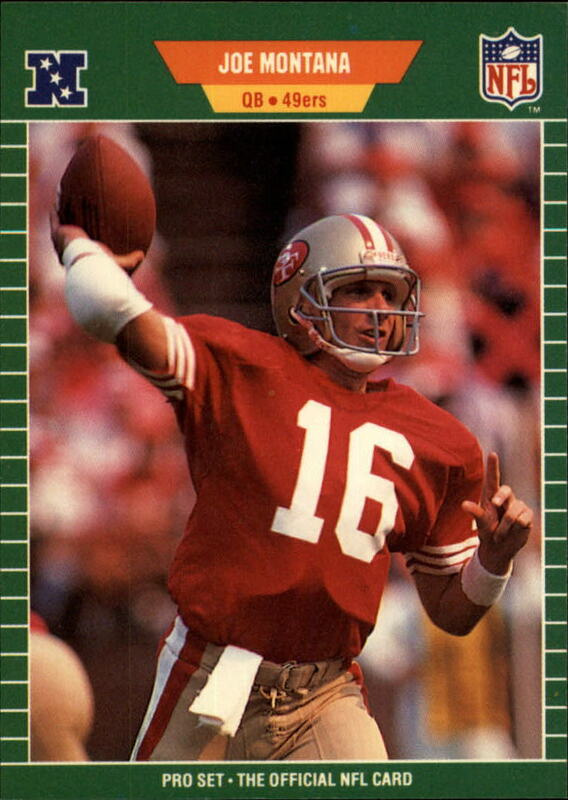 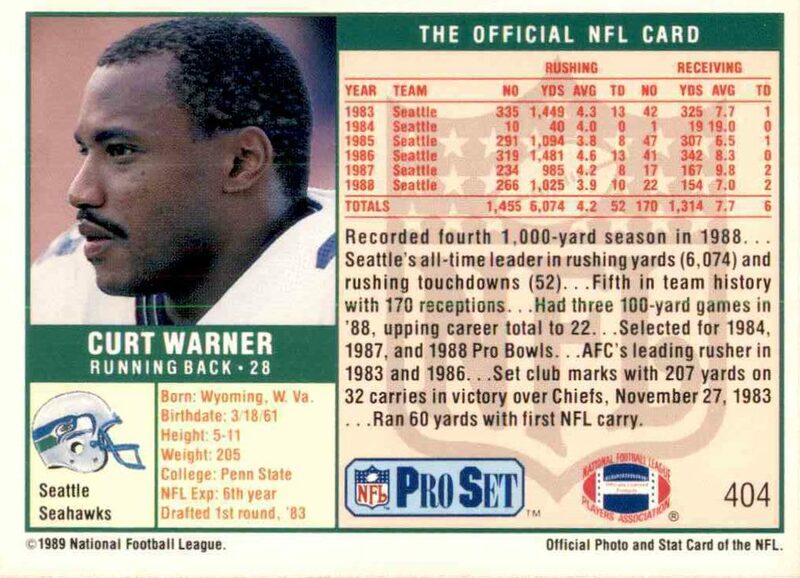 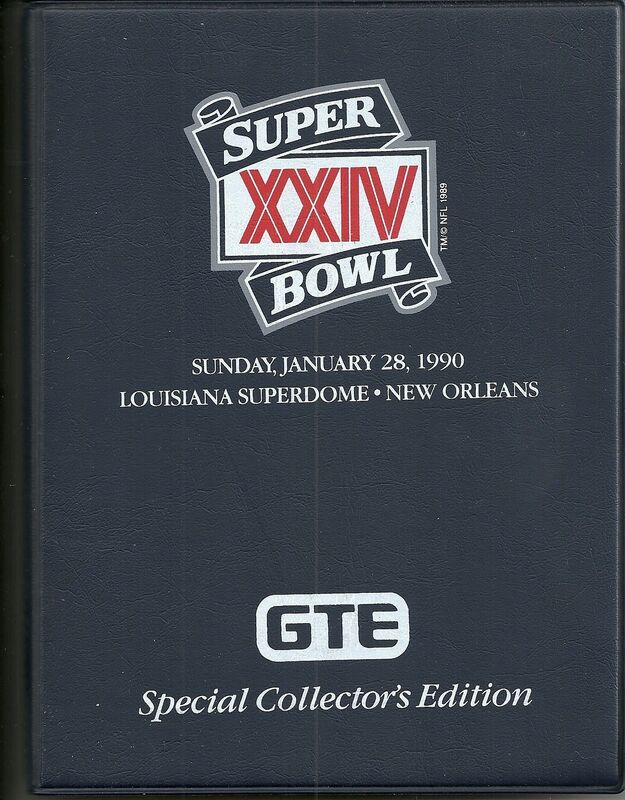 Prior to 1989 Pro Set cards, football only accounted for about $10 million in the $365 million sports card market. 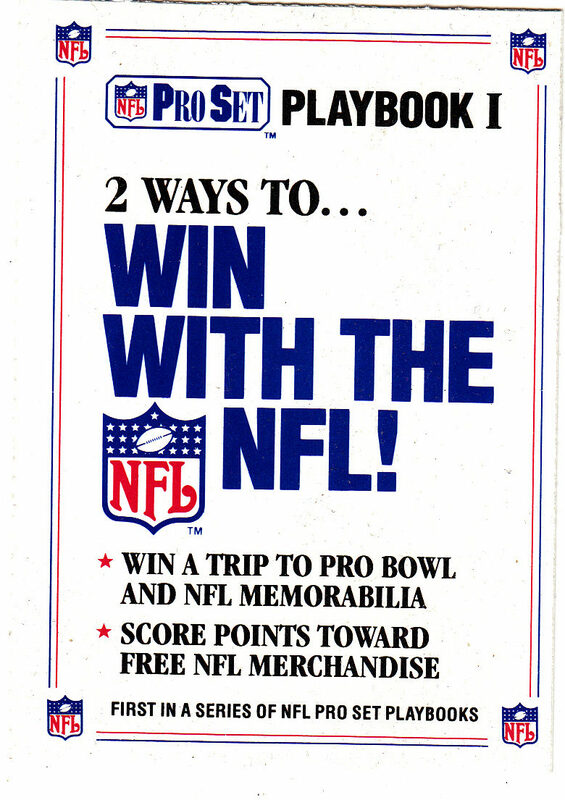 By October 1989, Denny and Pro Set had already done $23 million in retail sales. 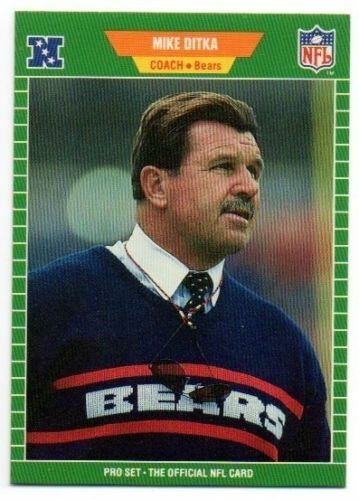 The success was short lived though. 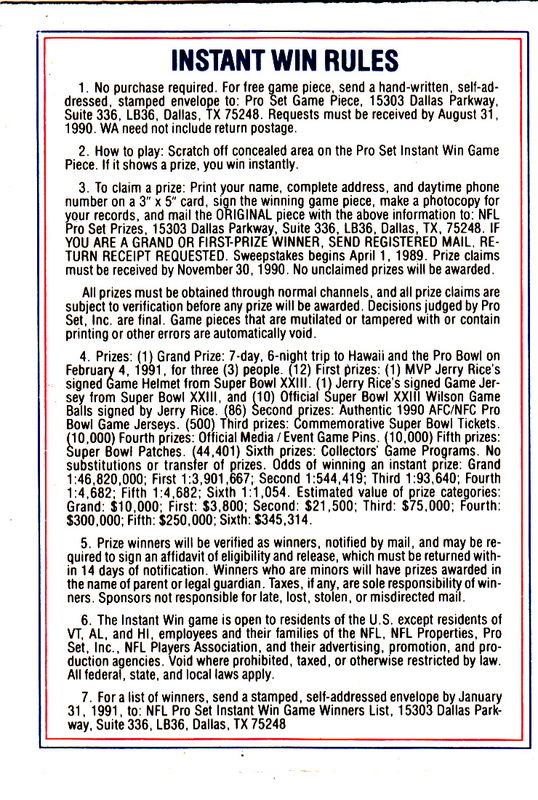 Pro Set declared Chapter 7 bankruptcy, owing $800,000 in unpaid royalties to the NFLPA in 1994. 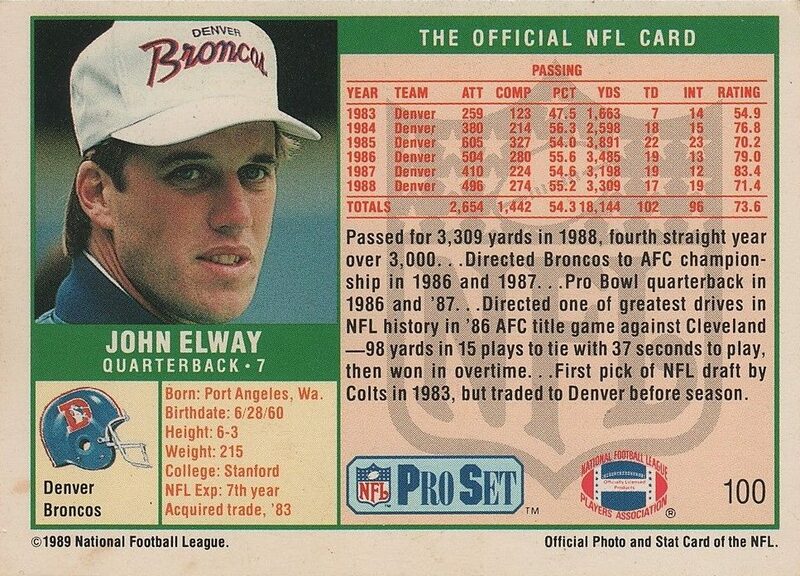 Despite the company going out of business the legend of 1989 Pro Set lives on. 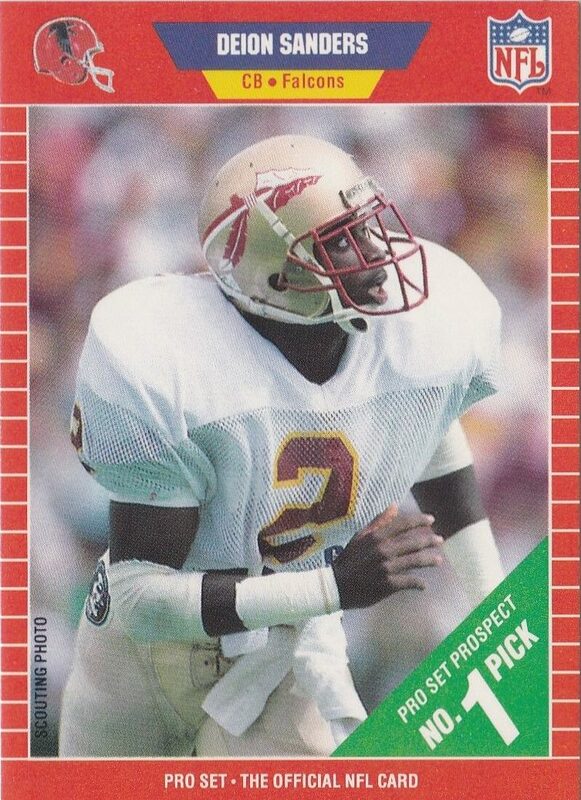 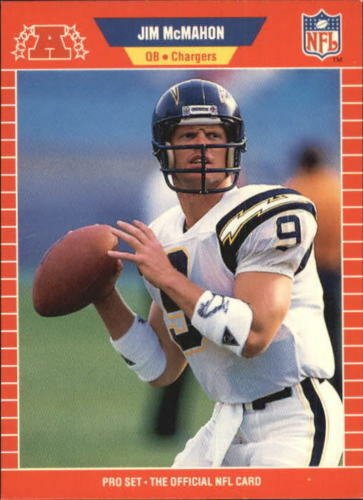 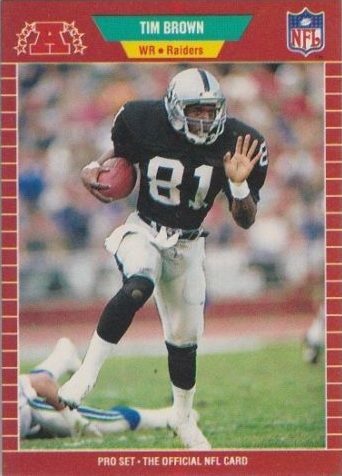 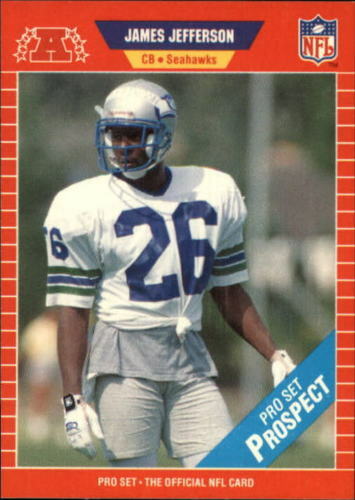 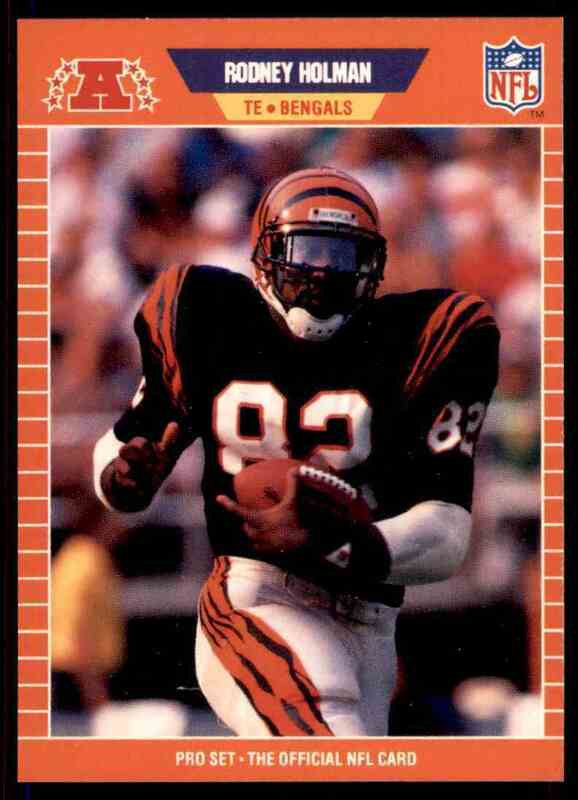 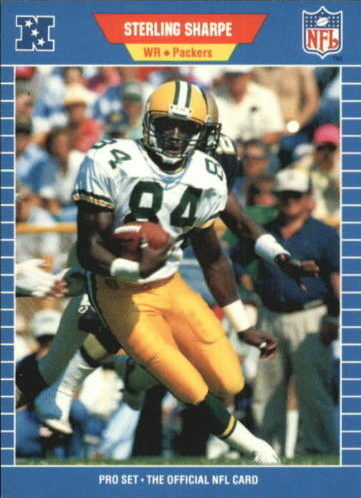 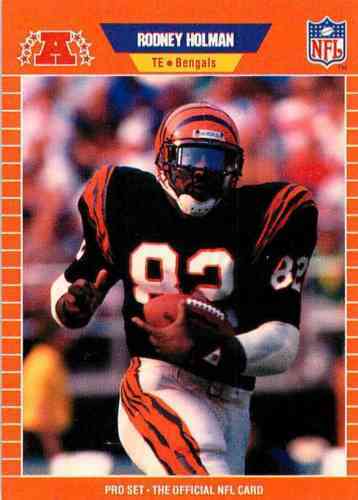 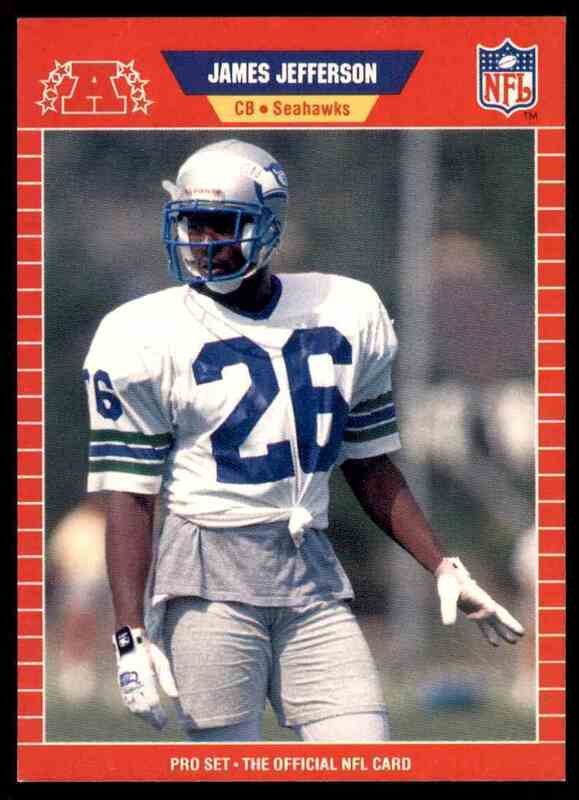 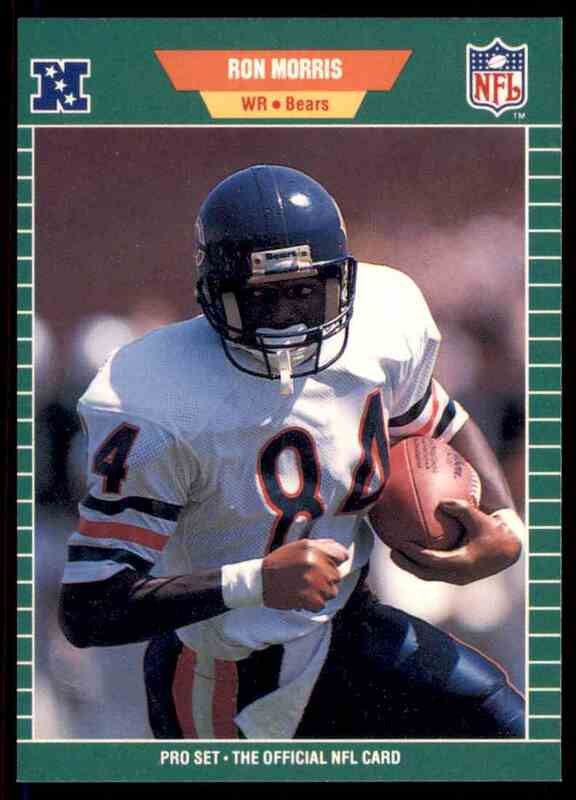 You would be hard pressed to find a collector who doesn’t recognize the ’89 Pro Set card design. 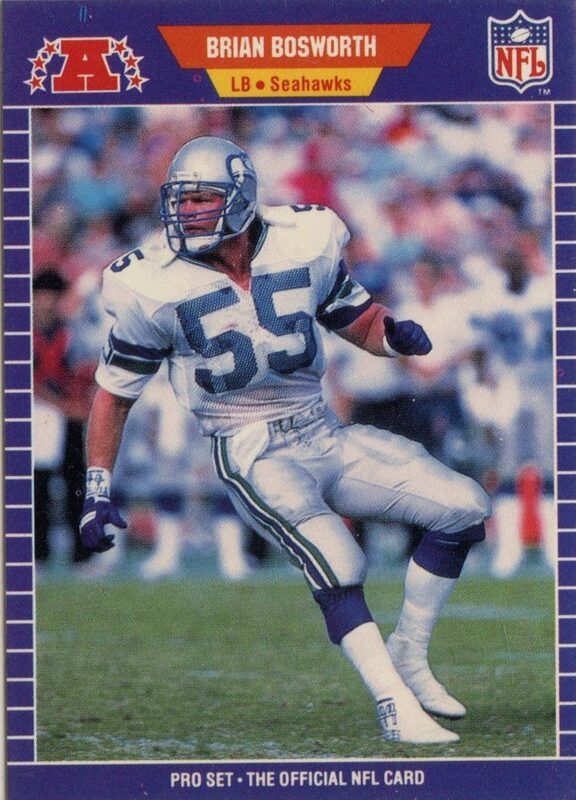 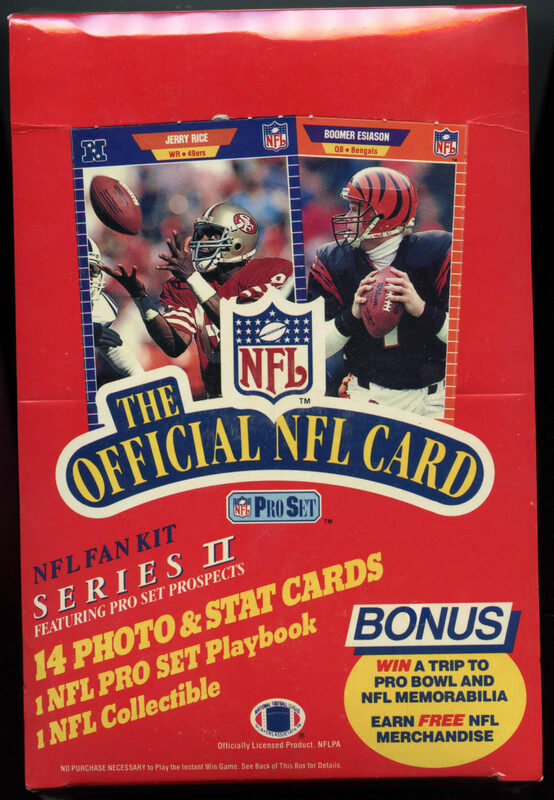 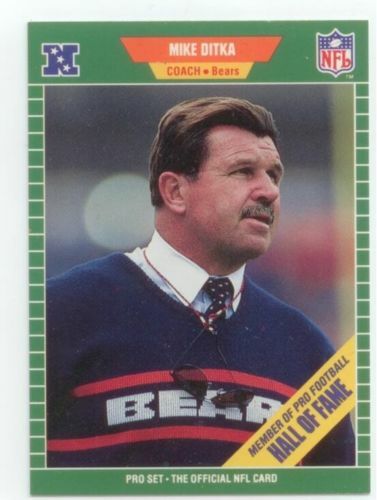 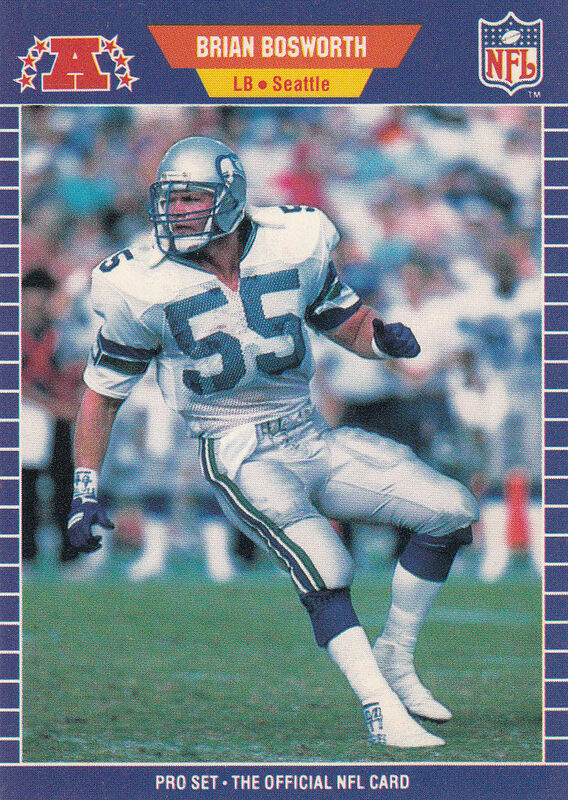 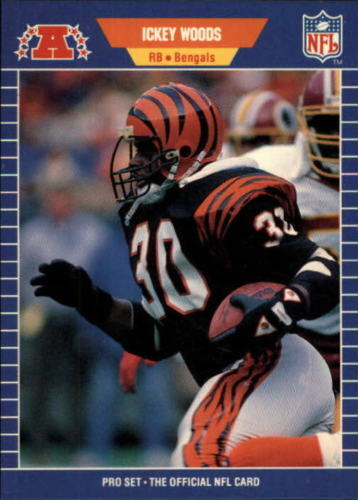 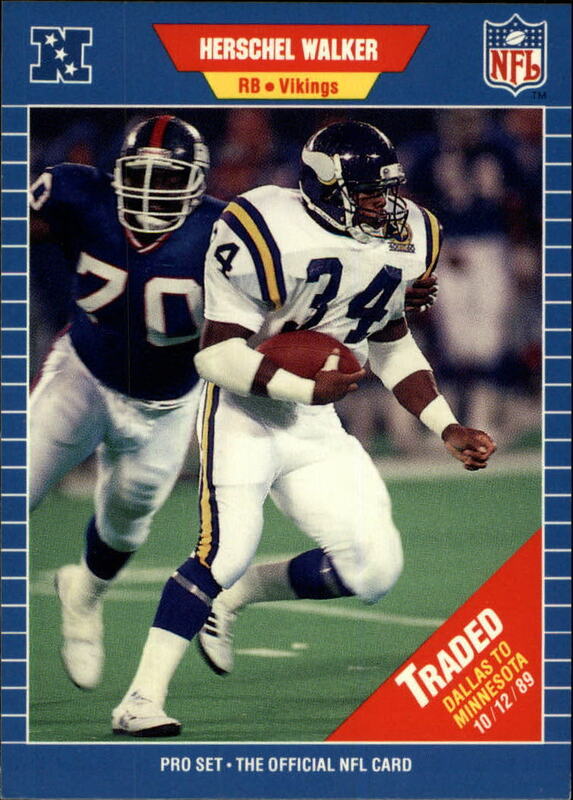 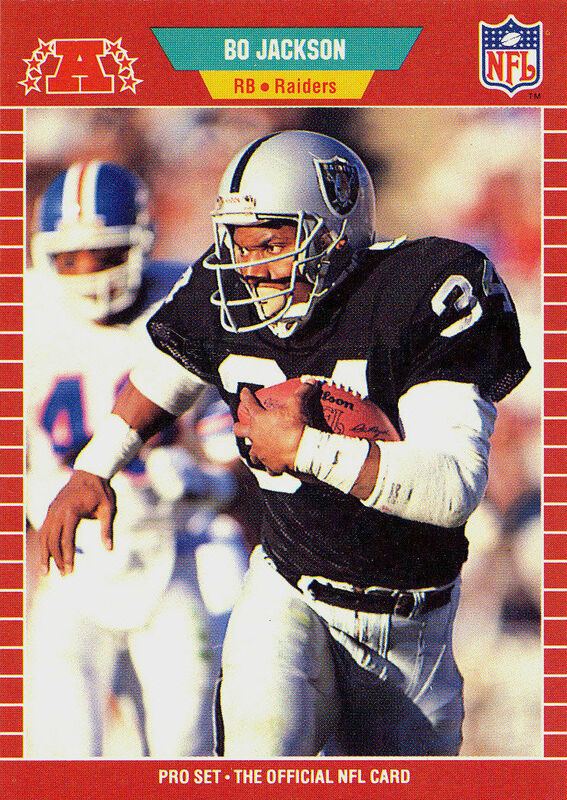 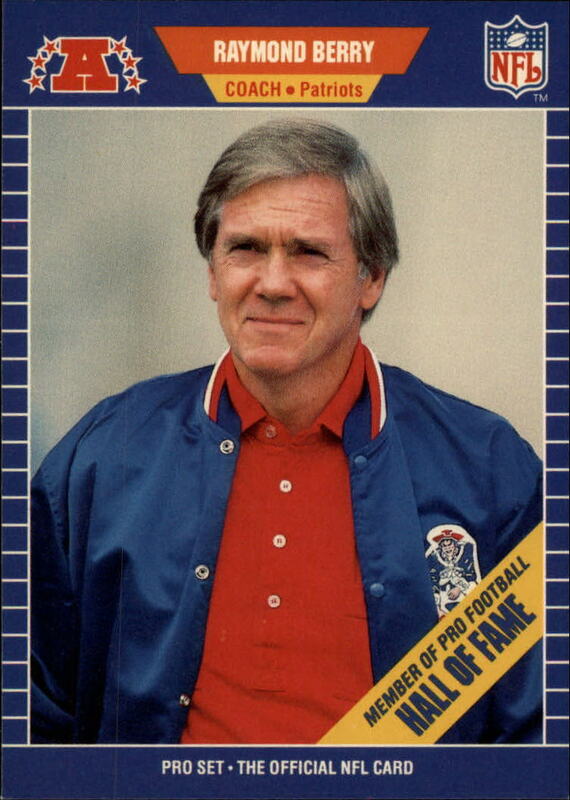 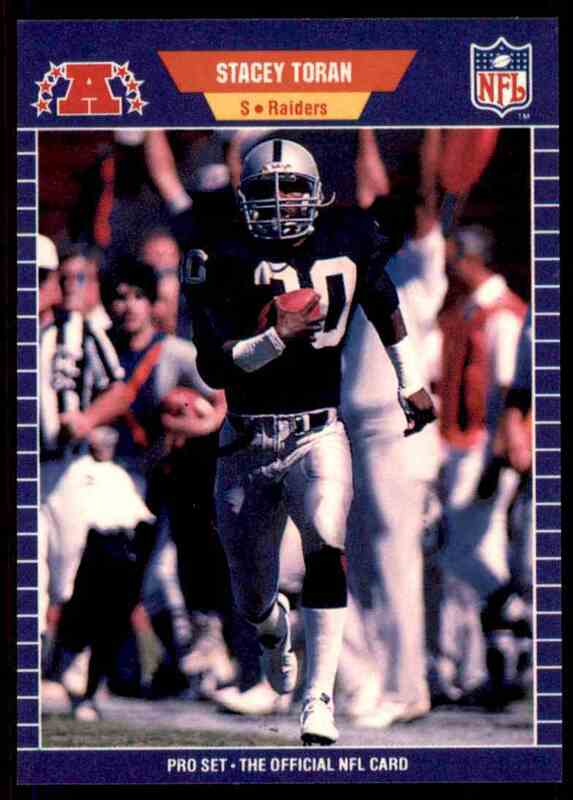 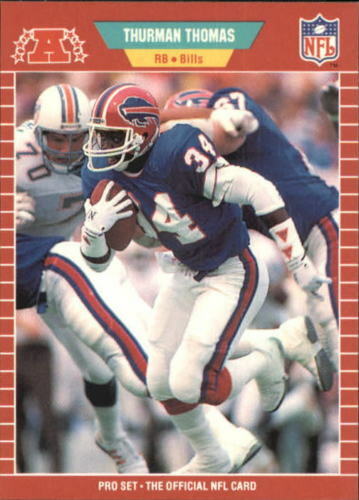 1989 Pro Set Football featured crisp photography for its time. 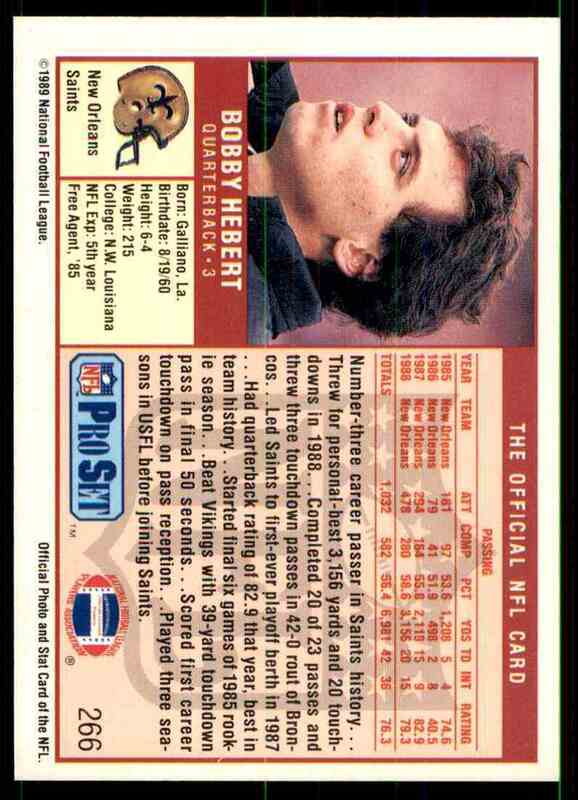 Denny described Pro Set as the first ”live” card set. 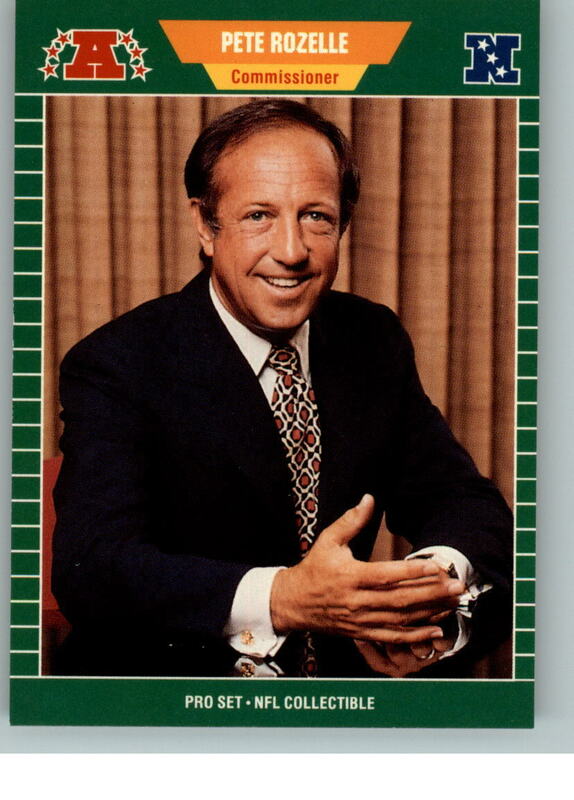 He envisioned continuous updates, actually stopping the presses to revise, correct, substitute or add cards when things happened in the NFL season. 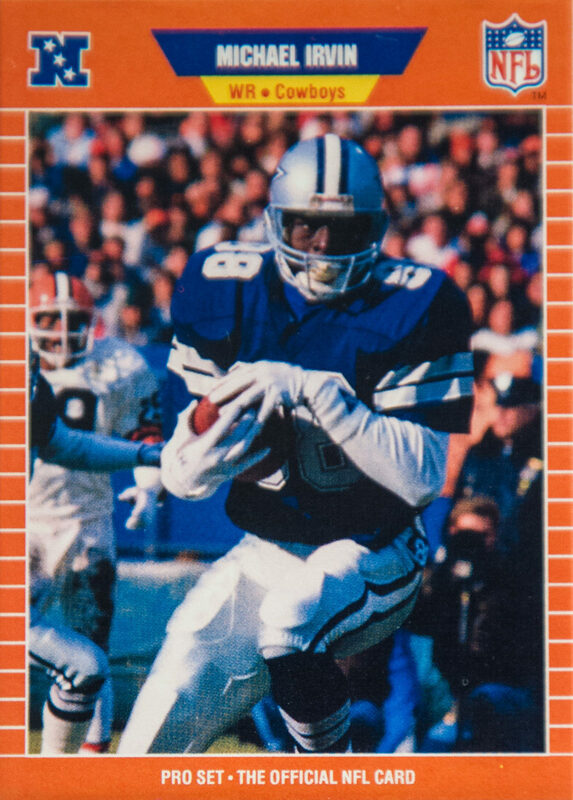 This made the set stand out among fellow football card competitors Topps and Score. 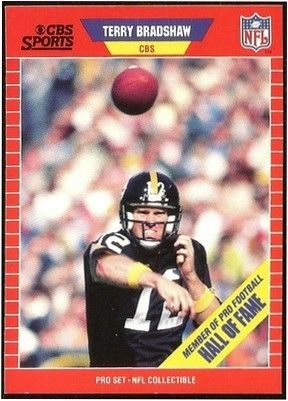 None of the regular cards are rare, as there are just too many of them in existence to command huge value. 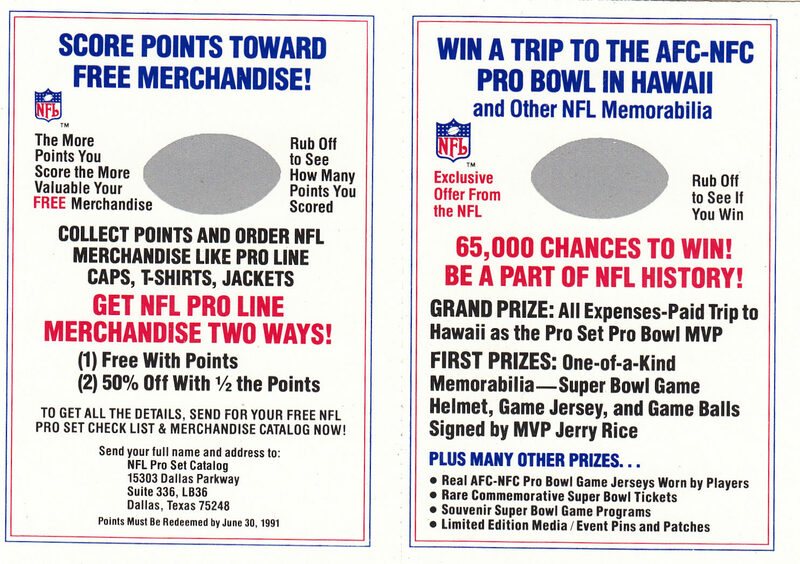 There are some promotional and error cards that can bring in $10-$50. 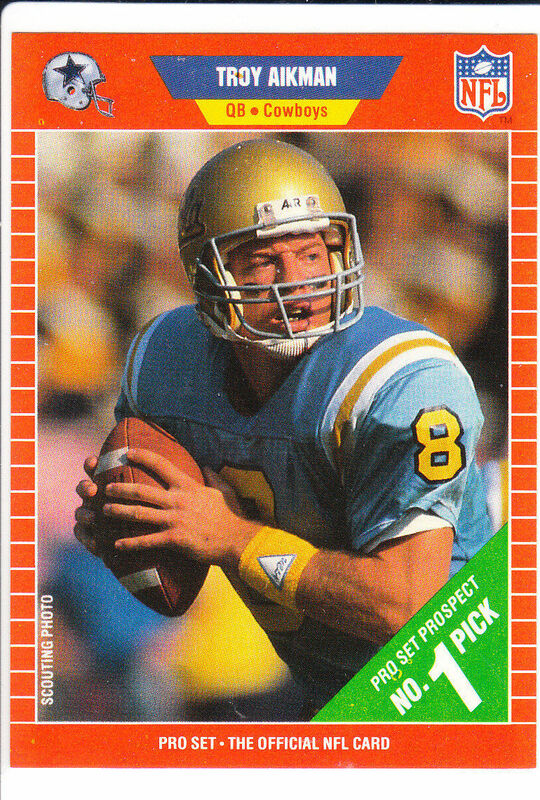 This was the beginning of the football card boom and Pro Set kept printing as the orders came in. 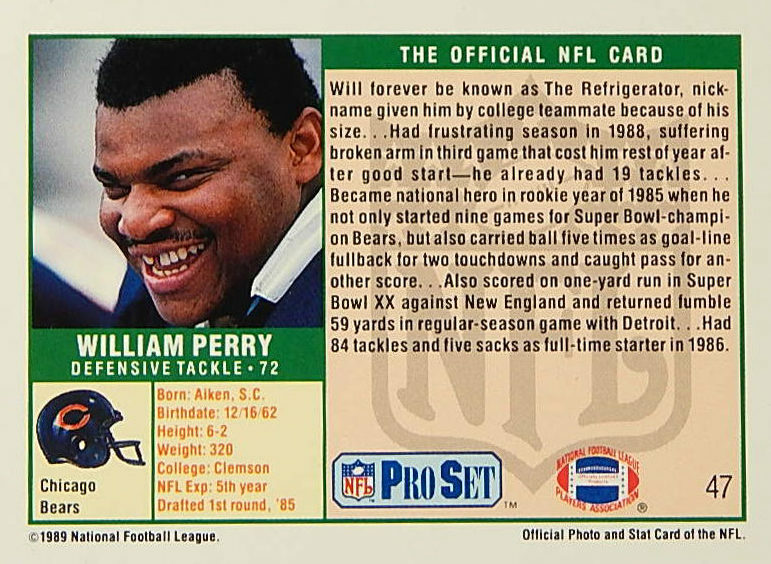 – Perry was not apart of the NFL Players Association (NFLPA) and Pro Set was asked to remove the card from the product. 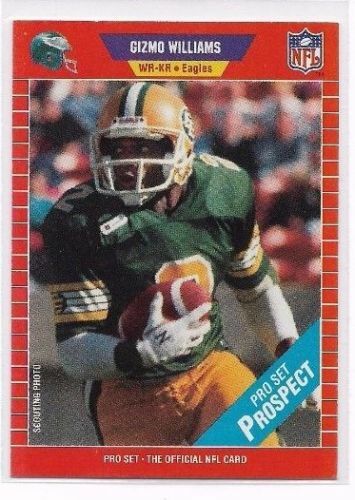 In a 1990 Chicago Tribune article it states: Pro Set stopped production after about 8,000 Perry cards were made, causing those that got out in early packs to be sold for as much as $125 apiece. 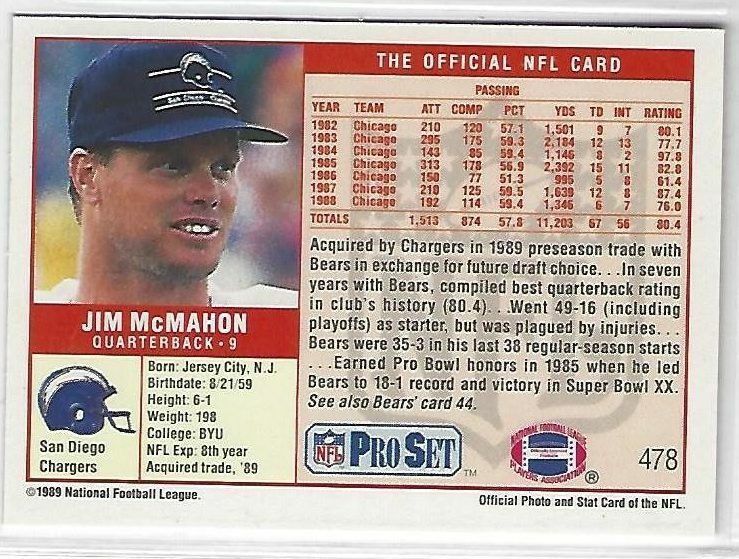 478b Jim McMahon – Traded Banner (Says ‘See also Bears card 44’ on back)→ $0. 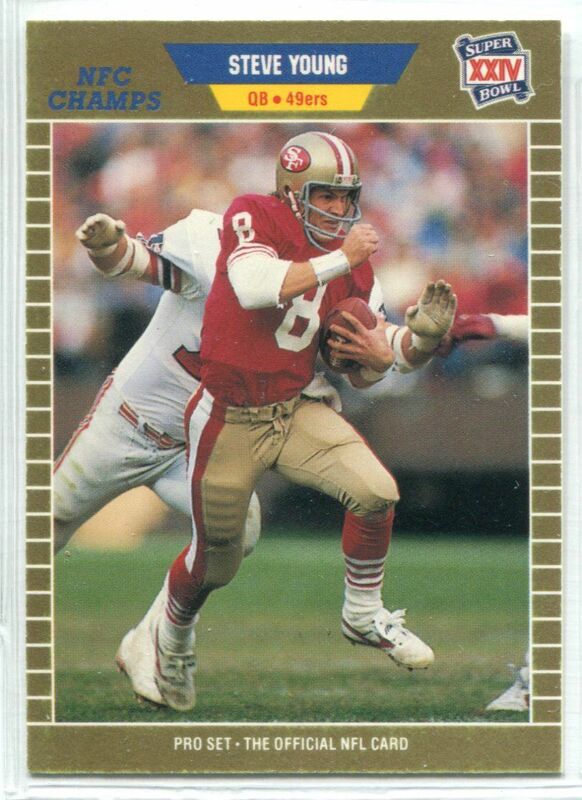 478c Jim McMahon – Traded Banner (Does NOT say ‘See also Bears card 44’ on back)→ $0. 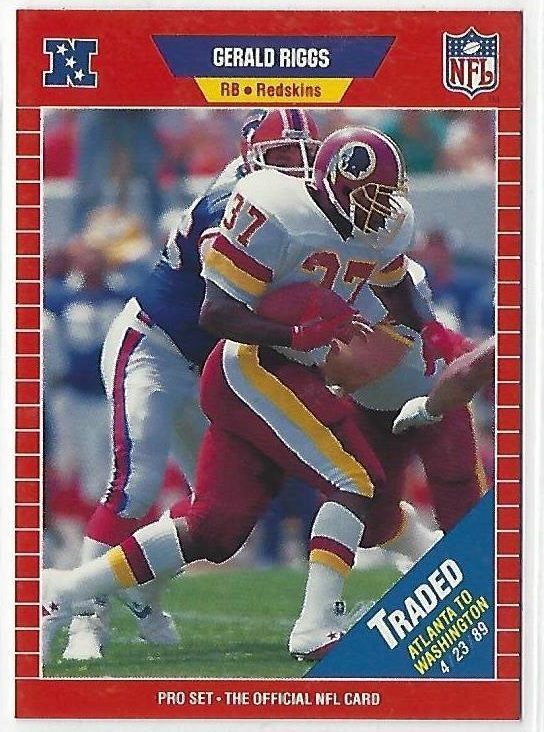 480c Earnest Byner – Traded Banner (Does NOT ‘See also Browns card 74’ on back)→ $0. 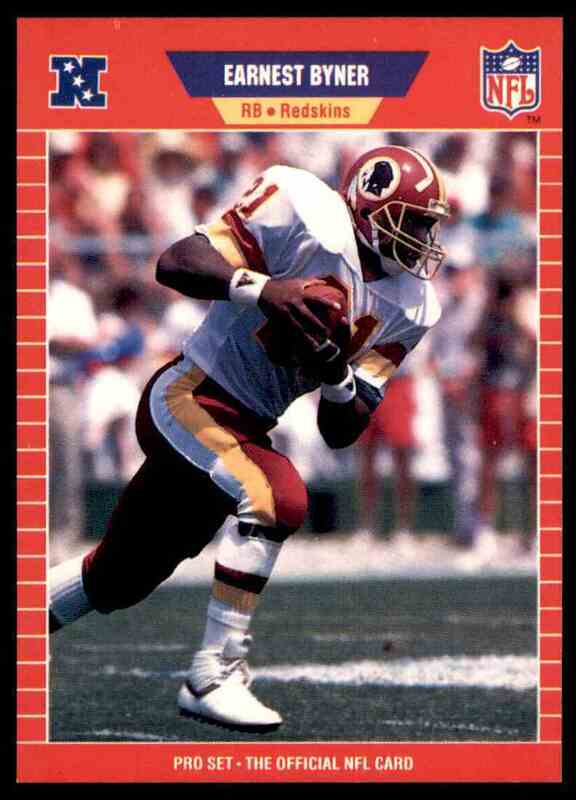 480d Earnest Byner (Says ‘See also Browns card 74’ on back AND does not have Traded Banner)→ $0. 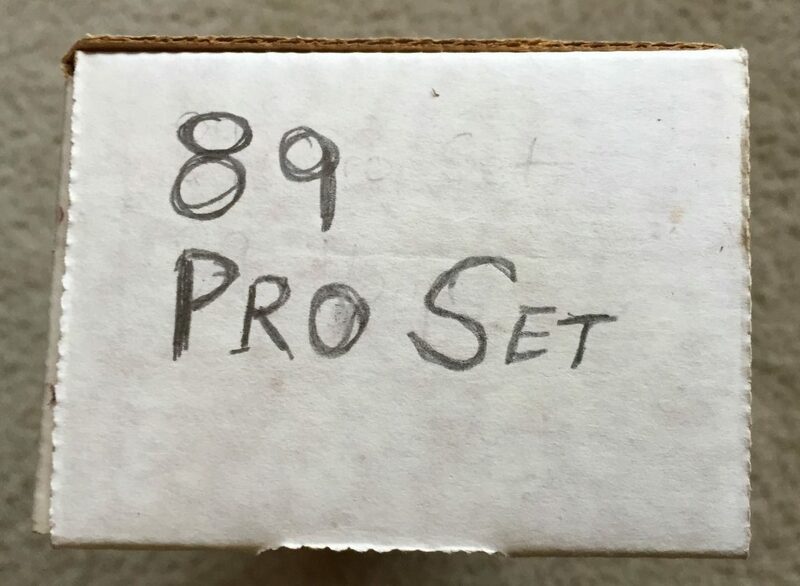 Pro Set sold a 20 card Final Update Factory Set for a $5 SRP. 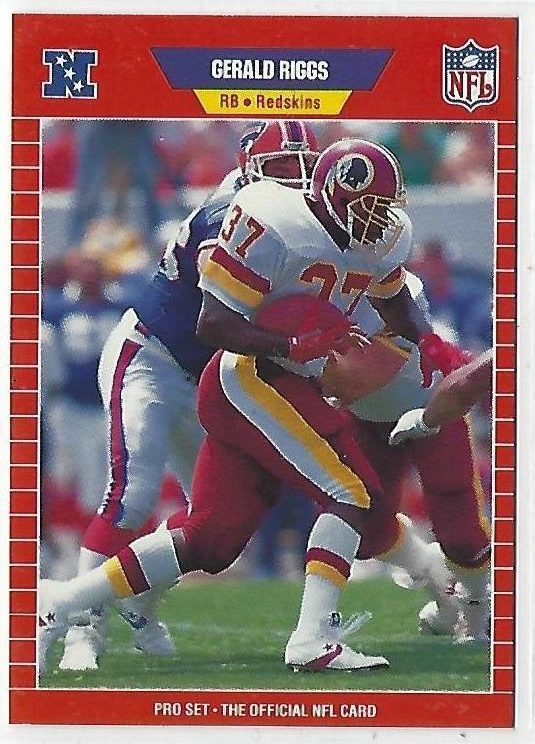 At the time, the Herschel Walker #561 card was a big deal. 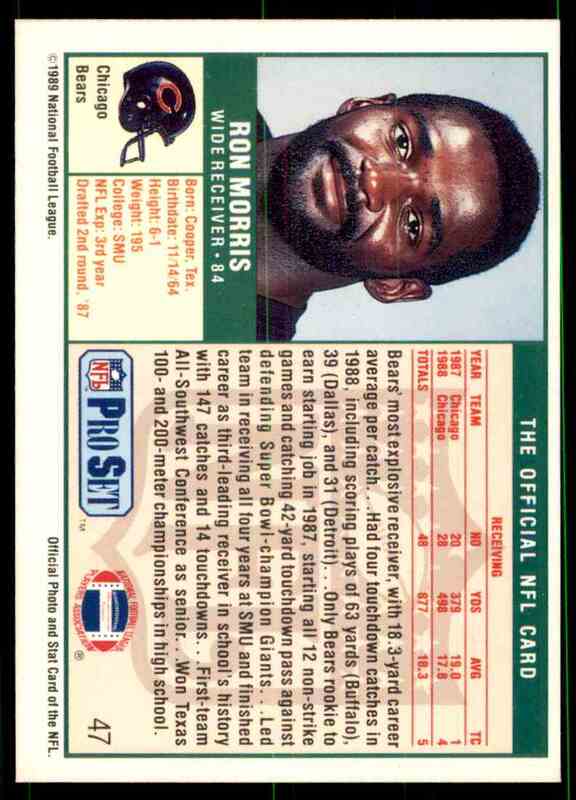 Today a complete set is worth about the same as it was in 1989. 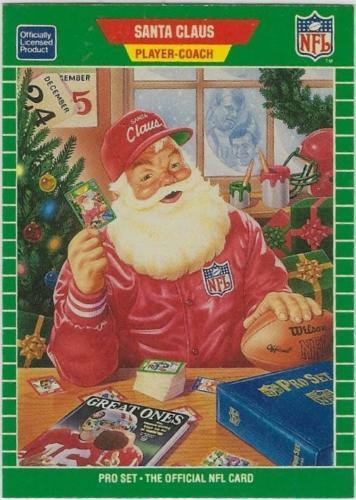 This card was given out as a promo to dealers during the holidays. 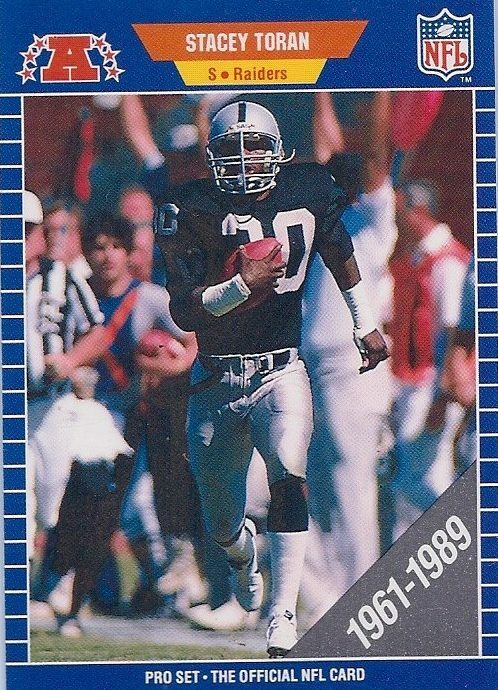 It’s believed only 1,000 exist. 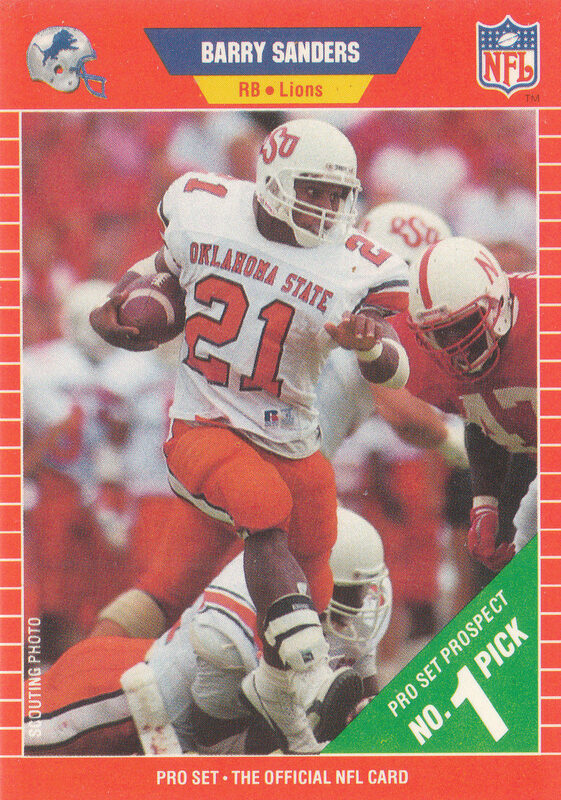 Most of these can be found for around $1 each. 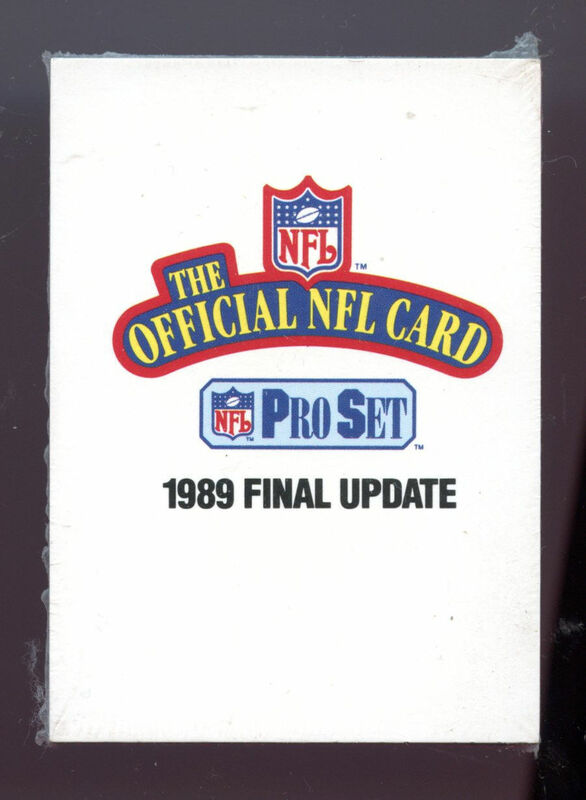 This is the binder that was given out to Pro Set employees but never sold to the public. 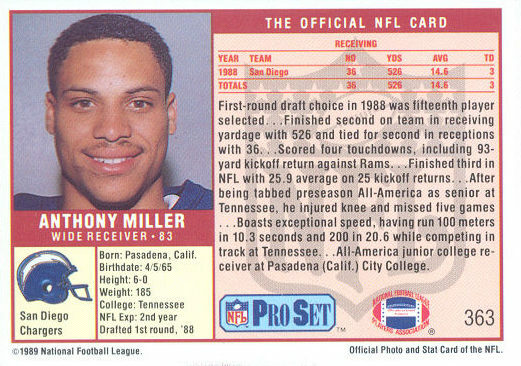 Each specially made binder page includes the white explanation card of the error/variation/prototype along with the card itself. 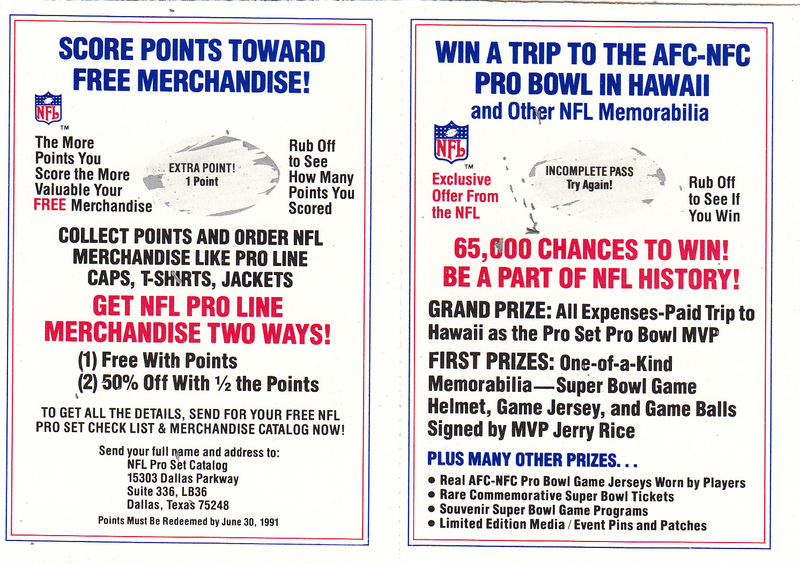 Includes two sets of the 8 sample cards that were handed out at the National Candy Wholesalers Show in 1989. 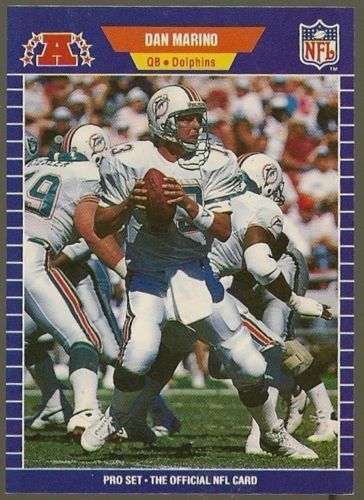 Included in that set are Dan Marino, Jerry Rice, Eric Dickerson, Reggie White, Mike Singletary, Frank Minnifield, Phil Simms, and Jim Kelly. 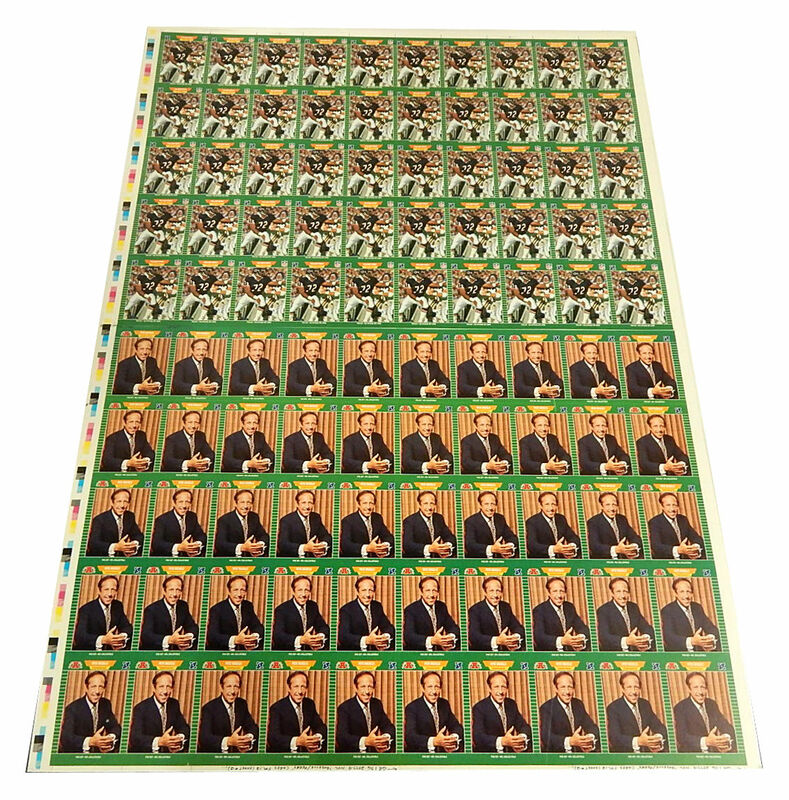 Depending on the configuration, you should be able to find a complete 561 set for around $10 online, plus shipping. 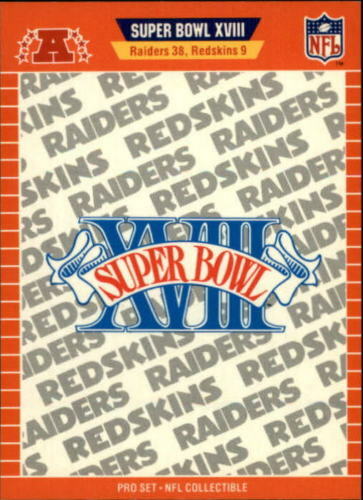 Some sellers include the Super Bowl or Announcer set to entice buyers. 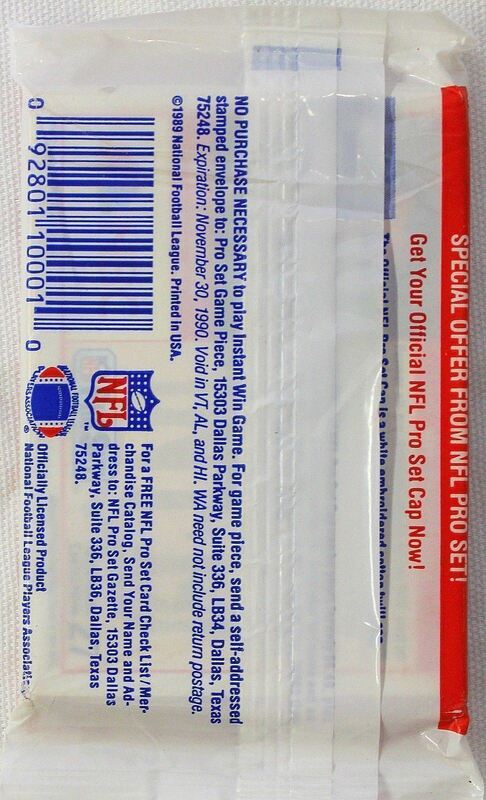 No complete factory set was offered by Pro Set. 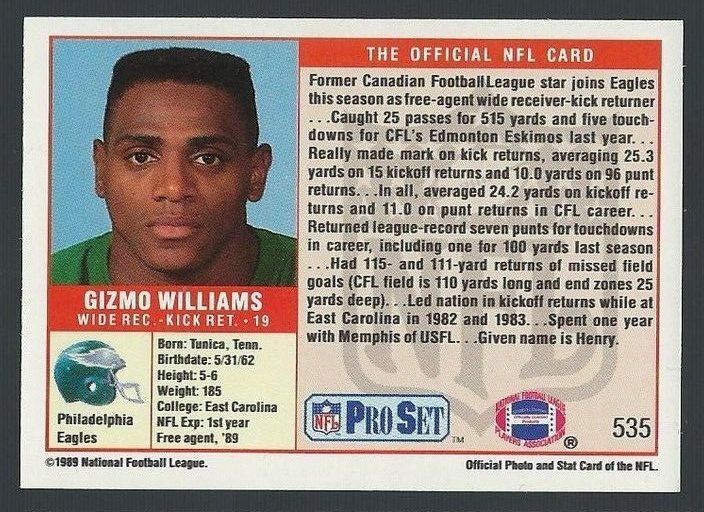 Buying these online can be tricky because they are so heavy. 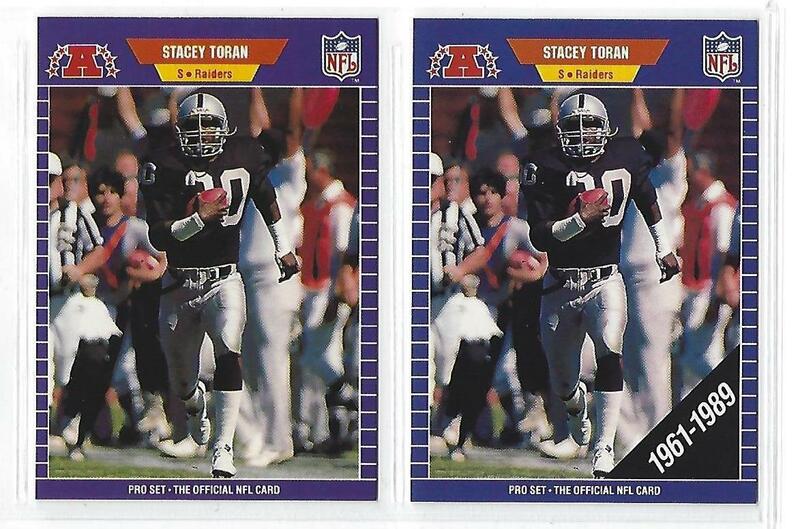 They sell for around $20 shipped. 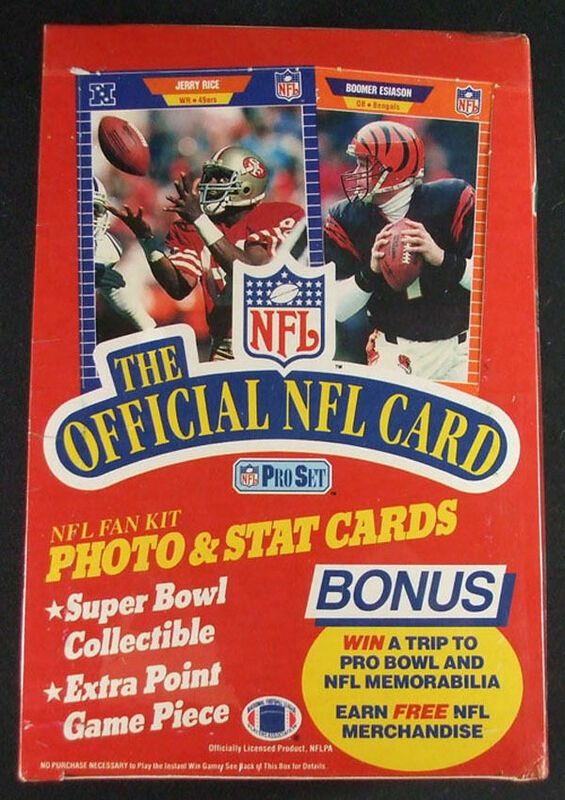 If you found one at a hobby shop or card show I’d imagine you should be able to get one for around $10-$20. 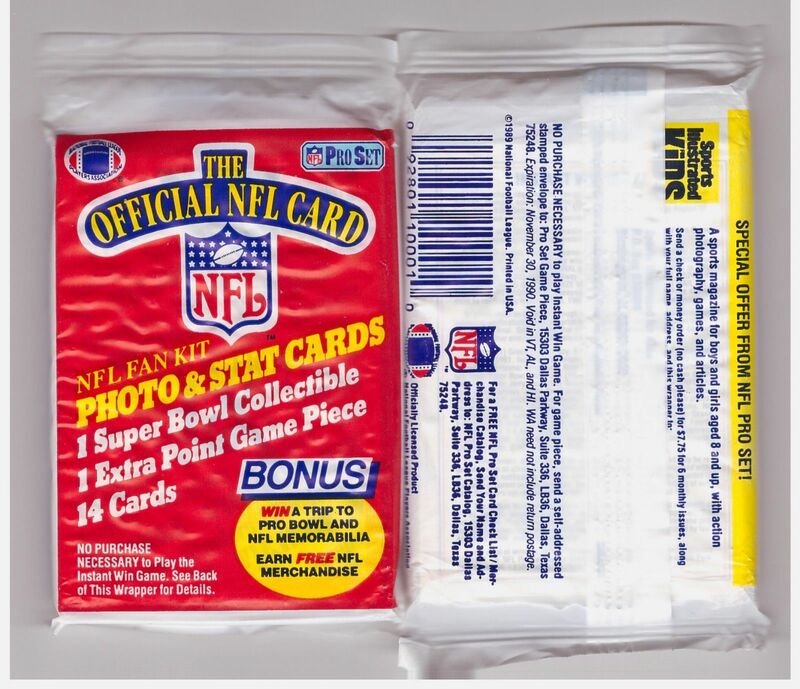 Typically you can find unopened packs for around $.25-$1 each at cards stores, shows or online. 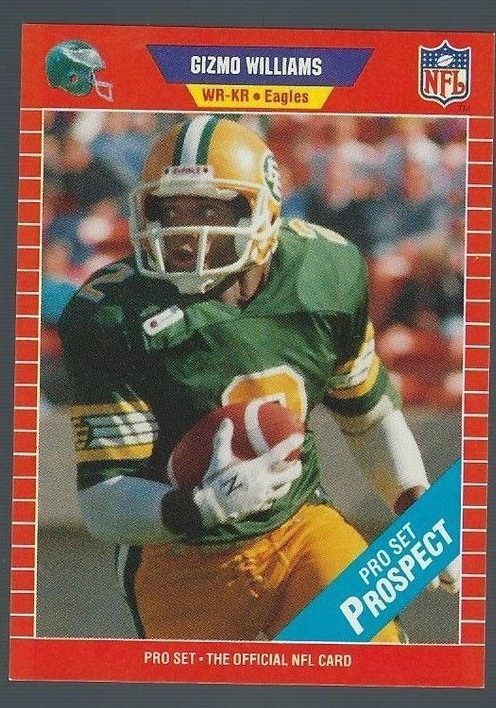 Occasionally you’ll see factory uncut sheets of 1989 Pro Set pop up. 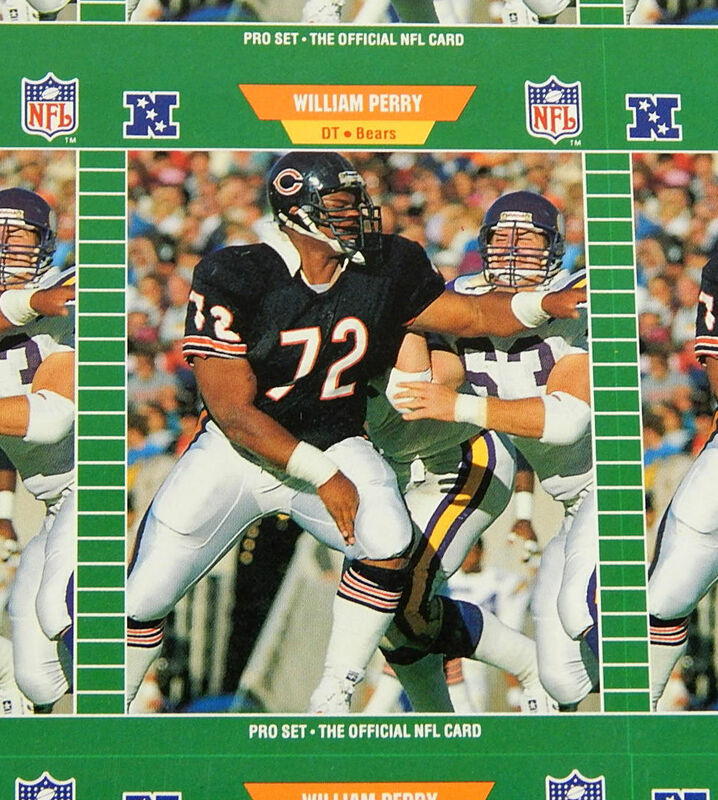 One seller listed a sheet that included 100 total William Perry and Pete Rozelle cards for $300 on eBay. 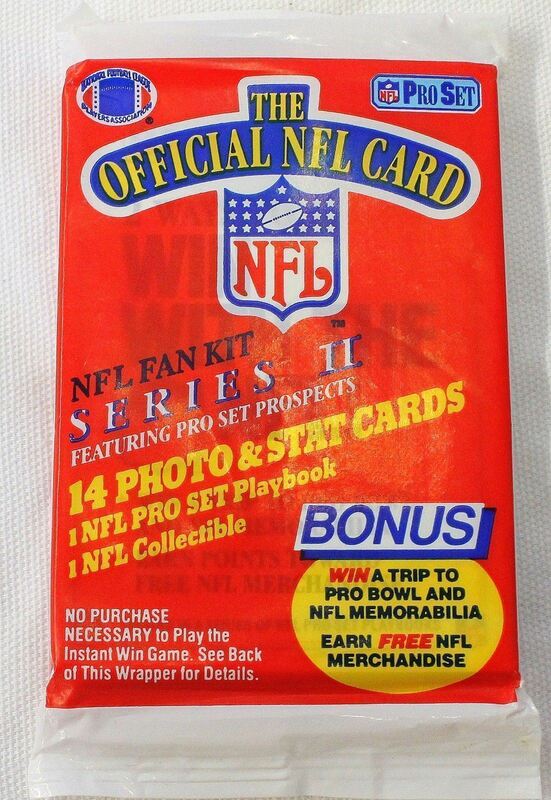 So i have a set of these from when i was a kid, maybe 75% of the whole list. 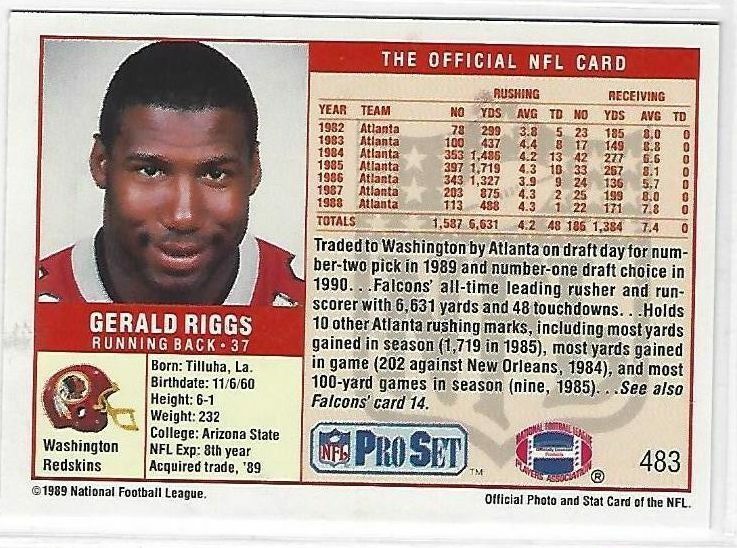 If someone can get a whole set online for $10, are mine basically lighter and fluid worthy? 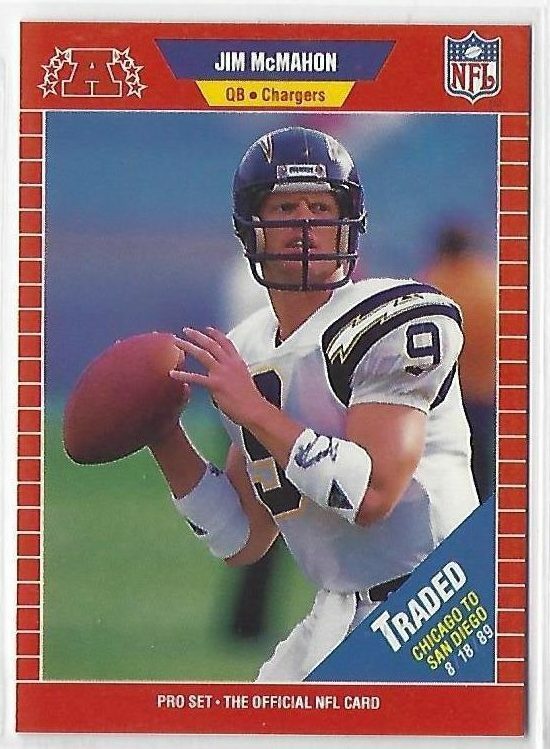 I’d expect it cost as much to ship as that.